Undoubtedly, one of my favorite rituals of el Día de Muertos, is cooking with the family, along with setting up the ofrenda (literally, “offering”) in honor of those who have departed. Ofrendas are created to remember, invoke and delight our deceased relatives, and are the centerpiece of this symbolicaly-rich celebration. My maternal grandmother took this festivity very seriously, and since her unexpected departure a few years ago, my uncle and my mother make a yearly pilgrimage to my grandma’s native Puebla, to continue on this three-thousand-year old tradition. Ofrenda in honor of my grandma Julia. I did not make it to Mexico this time around, but luckily for me, Mexico came to Chicago. I had the privilege to be invited to celebrate el Día de Muertos with one of my favorite Mexican imports, Negra Modelo. Negra Modelo drafted no other than Chef Rick Bayless to delight us with a walkthrough of this fantastic Mexican celebration through a few dishes. During the event, I had the privilege to chat with Bayless, and hear his point of view on Mexican food and its execution outside of Mexico. An anthropologist at heart, this celebrated ambassador of Mexican cuisine, understands the cultural forces that have shaped Mexican food across the US. After the mariachi serenaded guests, (what a perfect touch!) Bayless delivered a cooking demonstration from a stage designed to look just like an ofrenda. 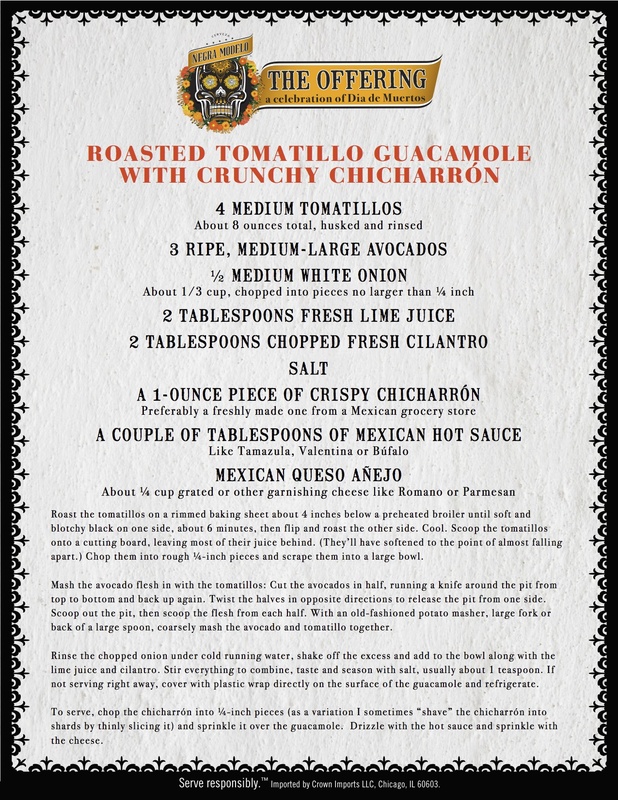 Guests were later delighted with a variety of fantastic Mexican dishes from this presentation. We are very excited to share one of these recipes with you so that you can bring it to life in your own kitchen. Sugar skulls are a ubiquitous element of el Día de Muertos. They serve as a reminder that death awaits us at any corner. 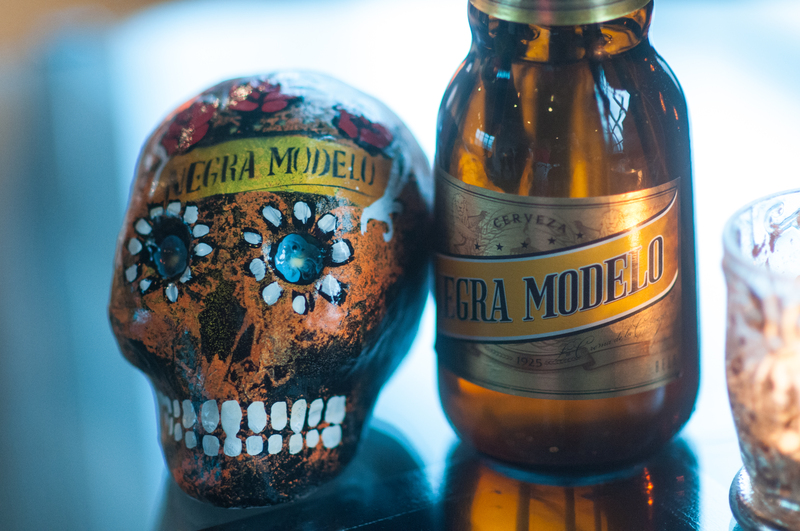 Negra Modelo invited local artists to create personalized handcrafts for guests to take home. 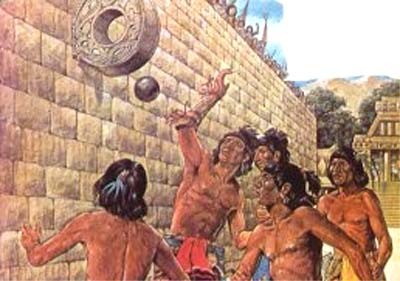 I was already a fan of the creamy, malty flavor of Negra Modelo, and after this party, I have no doubt I will continue to like it in the afterlife. Disclosure: I am a blogger sponsored by Negra Modelo. All opinions are my own. 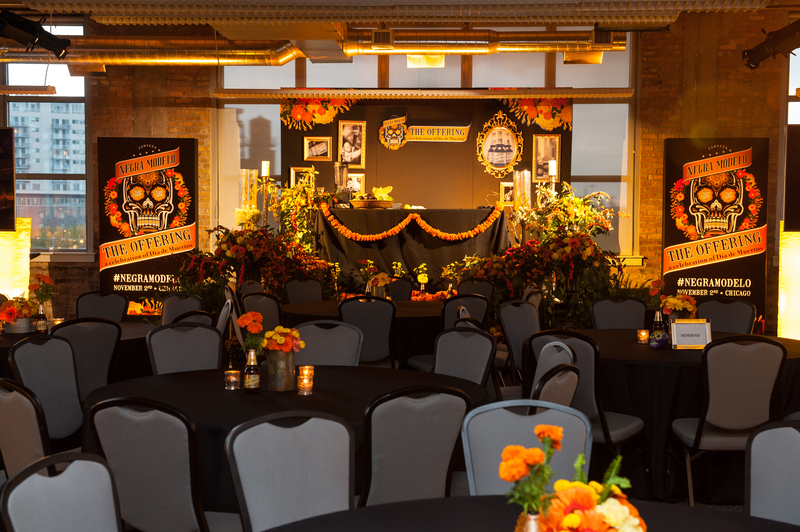 La Vitamina T Celebrates el Día de Muertos with Negra Modelo and Rick Bayless! It is virtually impossible to stumble upon any particular element of Mexico´s, Día de Muertos (Day of the Dead) that does not have a deliberate purpose or meaning. From the bread that symbolizes the circle of life and communion with the body of the dead, to the flowers that make a nod to the ephemeral nature of life, this ritual, especially in rural Mexico, is rich in both form and content. Along with pan de muerto (literally, “bread of dead”) and cempasúchil flowers, sugar skulls are staples of this festivity. 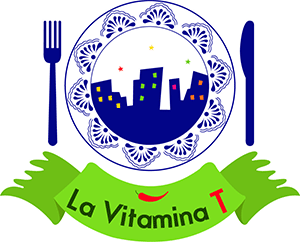 Like any other Mexican celebration, food is at the center of this celebration. Undoubtedly, one of my favorite parts of el Día de Muertos, is cooking with the family, and setting up the ofrendas (literally, “offerings”). My grandma Julia took this ritual very seriously, and since her unexpected departure a few years ago, my uncle and my mother have taken on the tradition. I cannot always make it to Mexico, so this time around, I am honored to celebrate this ancient tradition with another one of my favorite Mexican imports: Negra Modelo. Who will be cooking? 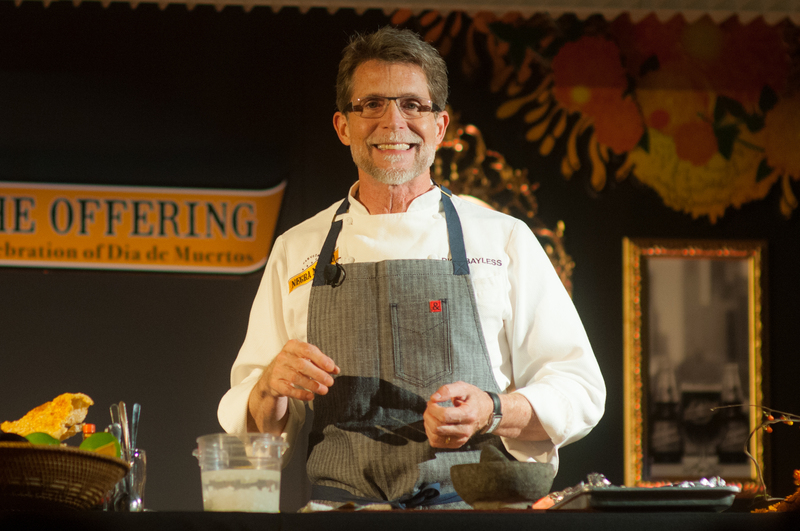 No other than Chef Rick Bayless, who will share with us authentic Mexican recipes that promise to delight (as the tradition requires it) both, dead and alive. Stay tuned next week for details, check out our Facebook page or follow us on Twitter. We will be tweeting live information to #NegraModelo. This will be a party to die for. I can´t wait to tell you all about it!